Powerful. When is the last time someone used that word to describe you? It doesn't make sense that Almighty God would have children characterized by fear and insecurity. He put His Spirit in us so we could be known for our power (Acts 1:8; 2 Tim. 1:7). Sadly, most believers and churches are known for talent or intellect rather than supernatural power. What's worse is that we're okay with it. Could it be that we've forgotten the One who distinguishes us from every religion and cult in the world? 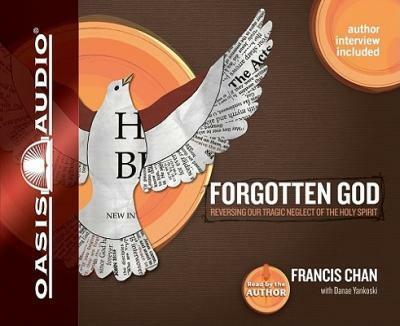 Through solid scriptural support and compelling narrative, breakthrough author Francis Chan returns us to the Holy Spirit as the Bible describes Him. He reminds us that we were not created and saved merely to survive our time on earth. Chan contends that we've ignored the Spirit and are reaping the disastrous results. It's time for the beloved church of Jesus Christ to reverse the trend of neglect. Let's pursue the Spirit-filled life of effectiveness. Francis Chan is senior pastor of Cornerstone Church in Simi Valley, California. He is the founder of Eternity Bible College and sits on the board of Children's Hunger Fund. His debut book, Crazy Love, sold 300,000 copies in its first year, and has been published in over ten languages. Francis and his family make their home in Southern California.